In the ancient Babylonia creation myth, Marduk defeats Tiamat, a sea monster. For many years in the church, the fascination with sea monsters and the spiritual symbols they represent have captivated the imagination of people who read about Leviathan in the Bible. But not everyone sees things that way. I suppose that the Leviathan creature described in Job might be difficult to explain with the Old Earth theory. This raises a really good question, but probably more than what the comment necessarily indicates. So, yes, who is this mysterious Leviathan creature as mentioned in Job 41? This comment surely has this question in mind, but consider this from a wider perspective: What are the concerns that Christians have when they read the Bible that inform how they interpret the Bible? This is a pretty well-worn argument between Old-Earth and Young-Earth creationists. The idea is that if Leviathan and Behemoth refer to dinosaurs, then down goes the argument that there are no dinosaurs in the Bible, and then we can conclude that dinosaurs overlapped mankind’s existence on earth (which would support a Young-Earth view). All of these texts could be consistently interpreted as Leviathan referring to a crocodile (and Behemoth referring to a hippopotamus). Thanks for the comment, and I hope this helps. John sums it up well. But what do the other Creationist perspectives that we have briefly discussed at the Symposium have to say about Leviathan? Aside from the dinosaur view, some Young Earth interpreters instead refer to Leviathan as some unknown sea creature, as opposed to the Old-Earth interpretation of “crocodile” that John mentions above. Reasons To Believe, as John references, observes that just as a “crocodile” is hard to tame, so it is difficult for the sinful, human rebellious heart to be tamed by God. Alternatively, here is Answers In Genesis’s take on this. 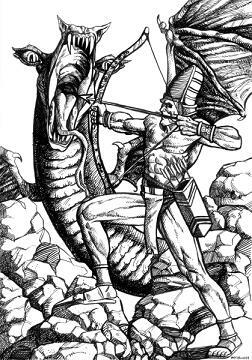 In the history of Biblical interpretation, a number of medieval interpreters saw this Leviathan creature as being a “mythological” creature, symbolically representing pagan approaches to Creation in contrast to the work of the one True God of Israel as revealed in the Bible. For an analysis of this theme from another Young Earth perspective that ultimately rejects this “mythological” proposal, look here. OK. So we have more or less compared the Young vs. Old Earth treatments. But what about these Evolutionary Creationists? Do they have anything distinctive to contribute to the discussion? One Evolutionary Creationist angle on this is that the biblical concept of Creation does not teach science so much as it forcefully argues against a pagan understanding of Creation that was prevalent during the period of ancient Israel. The God of the Bible is a god of order. The god of pagan religions is a god of chaos. The Bible therefore argues that Israel’s God brings order out of chaos. Building on the medieval view of Leviathan as a figurative creature symbolically representing a deeper Biblical theme, Pete Enns, formerly of BioLogos, offers these crucial insights into why this is a better way of handling the text. Take the time to follow these links to better understand what is in your Bible. How Do You Sort All of This Out? Why bring all of these different views up? If there is ever going to be the possibility of resolving these issues of biblical interpretation within the church, you will need to consider the concerns and presuppositions that drive these different interpretive approaches to Scripture. In my view, the Young Earth movement is vitally concerned that the church is drifting away from its moorings within the Sacred Scripture. Science needs to be understood within the context of what the Bible actually teaches. Otherwise, the church gets led by the tail of Science and not the Bible! On the other hand, the Old Earth position sees that our understanding of God’s Truth must be undertaken within the context of embracing both of the “two books” of God’s revelation. First, we need the Book of Holy Scripture, commonly known as special revelation. But we also need the “book” of Nature, where God is revealed through His creative acts, commonly known as general revelation. God does not contradict Himself between the Bible and Science! Notice that both the Young and Old Earth approaches are greatly concerned about preserving a literal interpretation of the Bible. Both Young and Old Earth perspectives warn against more allegorical interpretations that veer off into ungodly speculation. However, Evolutionary Creationism expresses a separate concern. So while the importance of literal interpretation does have its place, Evolutionary Creationism is concerned that we should not allow the drive for literalism to obscure the deeper, more reflective, and spiritual meaning of the text. God speaks just as authoritatively through the Bible’s figurative language and figurative genre as he does through the Bible’s literal language and literal genre. God also reveals His Truth through a Biblically informed imagination! What I find of tremendous value is that none of these concerns are inherently contradictory with one another. We need the authority of God’s Word in the Bible. We need His Truth that He demonstrates in the universe that He Himself created as being consistent with Holy Scripture. And we need to understand the deeper, spiritual Truths of the Bible so that we can better understand the depth of God’s holy wisdom. Each concern should complement one another instead of being a source of division and strife. The study of Leviathan helps us to understand why Christians sometimes embrace different points of view when reading particular passages of the Bible. So the next time you find yourself puzzled as to why a fellow believer in Christ interprets something in the Bible so differently from you, take the time to step back and consider what might be some of the concerns that this person is bringing to the text: Are we properly submitting to the authority of God’s Infallible Word? Are we properly seeing a sense of agreement between Holy Scripture and God’s revelation in the Created world? Are we properly respecting the Bible’s use of different genre, even figurative language, to express His un-erring truths? It would be irresponsible to suggest that the serious issues involved here are somehow trivial. Christians who have thought deeply about these matters will continue to disagree on how they understand Creation. So having a discussion with someone who looks at things differently might not ultimately change your mind on the correct interpretation of the Biblical text. However, it might help you to better understand what is behind the thinking and passion of your fellow believer. Your own thinking might be sharpened. You might even be challenged. You might even learn something. This entry was posted on Tuesday, November 19th, 2013 at 7:36 am	and tagged with Bible study, Christianity, Creationism, Facts & Faith, Leviathan, veracity and posted in Facts & Faith. You can follow any responses to this entry through the RSS 2.0 feed. Thanks for this really, really wise post on such a controversial topic. You nailed it. Well done!